If you want to take a spring shopping trip in the Ozarks region, be sure to visit the Branson Landing where you can find an array of retail outlets, specialty shops, and a variety of fine restaurants. Beautifully located on the banks of Lake Taneycomo, Branson Landing is the premiere shopping destination and a great public gathering place for local residents and tourists. Shopping is not only enjoyed by adults but so are the kids. So bring them to Branson Landing and give them the opportunity to enjoy the best spring shopping trip where they can have the chance to see many other exciting attractions. 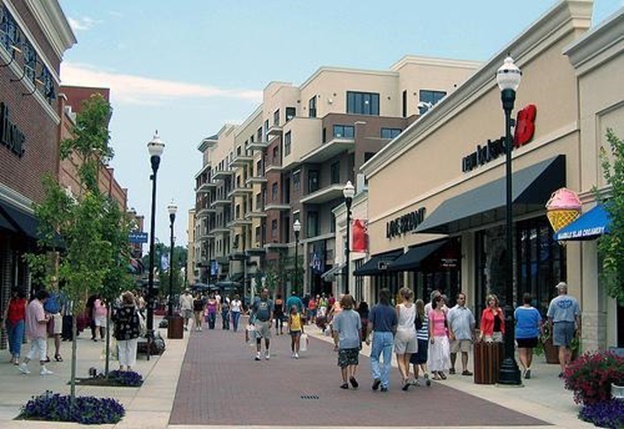 Branson Landing is home to many finest shopping venues where its mainstay Belk Department Store has features almost all kinds of shopping items from ladies’ and men’s accessories, casual wears, and jewelries to souvenir items. Bass Pro Shop is another interesting shopping venue ideal for sports enthusiasts who are looking for items needed for their outdoor sports adventures. Ladies and kids can dive into the luxury items and toys at Belk or from any of the 100 specialty shops inside the Branson Landing. Visitors coming to Branson will find a variety of fine restaurants offering great food and many of it can easily be found at Branson Landing. For many years, this beautiful enclave in the Ozarks has become a haven for many special stores and finest restaurants. Many of the dining places in the Landing overlook the fantastic Lake Taneycomo and the 1.5 mile path utilized for hiking, camping, biking, or horseback riding. In Branson Landing, you will find some of the most popular restaurant choices that include The White River Fish House, Waxy O’Sheas’ Irish Pub, Ernie Biggs Dueling Piano Bar, Liberty Tavern, and the Cantina Laredo. No matter what food you prefer to eat, there is always something for you to enjoy in the Landing. Branson Landing also features a spectacular Fountain Show near the lakefront of Lake Taneycomo. This $7.5 million amazing attraction of water, fire, light, and music will give visitors a wholesome fun and excitement. In daytime, it’s great to see the fire canons burst vertically with water fountains shooting up to 120 feet in the air. Looking at this fountain show in the evening can be amazing as the glittering lights dazzle around the area. This entertaining water and light show features clowns, singers, and street performers that entertain in the Landing during the influx of visitors. If you want to take more shopping after enjoying the fountain show, visit the Tanger Outlet Mall where you can find over 65 brand name outlets. Make yourself and the whole family up-to-date in fashions from terrific stores such as Polo Ralph Lauren, GAP Outlet, Tommy Hilfiger, Old Navy, Banana Republic, Aeropostale, Levi’s, Liz Claiborne, Eddie Bauer, Sketchers, Van Heusen and Rockport. If you want to experience a fun-packed spring shopping trip, visit the Branson Landing where you will enjoy great shopping, fine dining, exciting attractions, and wholesome entertainment.